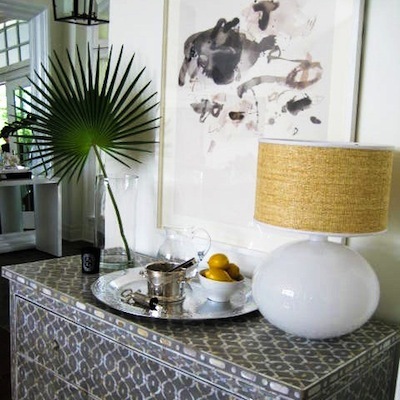 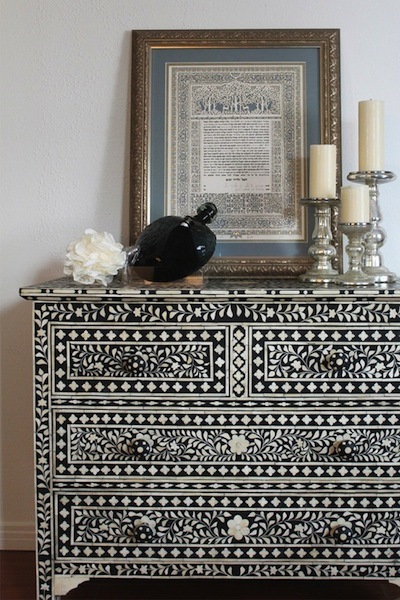 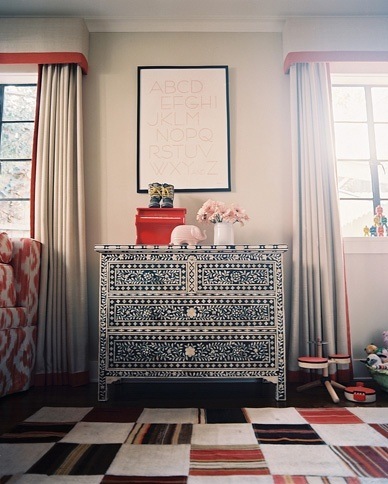 It's been a trend for several years now and while some may thing it's fading out I still think inlaid furniture is a fantastic addition to any home. 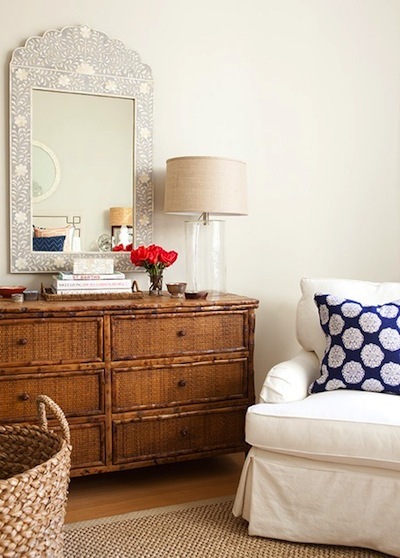 Whether it's a chest of drawers in your entryway, a bedside table or mirror over a vanity the result is a gorgeous, slightly eclectic style boost. 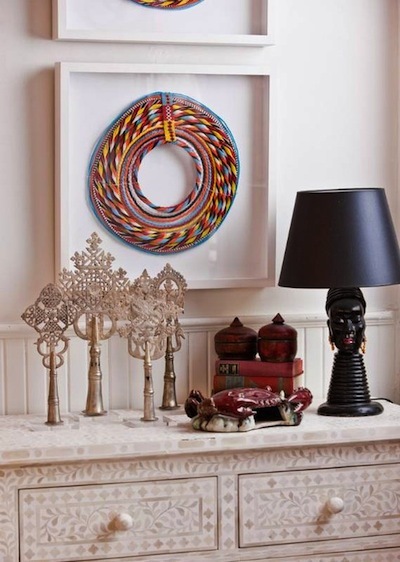 The intricate designs using bone, shell and sometimes metals turn a routine piece of furniture into a piece of art for your home. 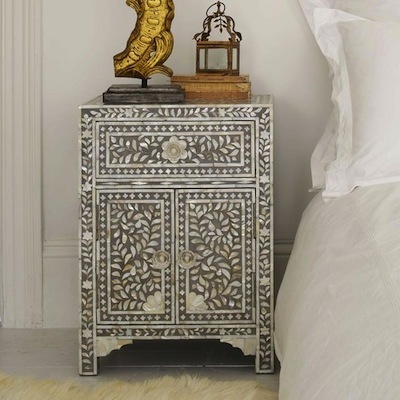 I'm on the hunt for a light grey chest of drawers to serve as a media stand for my living room.